New year. New collectible! 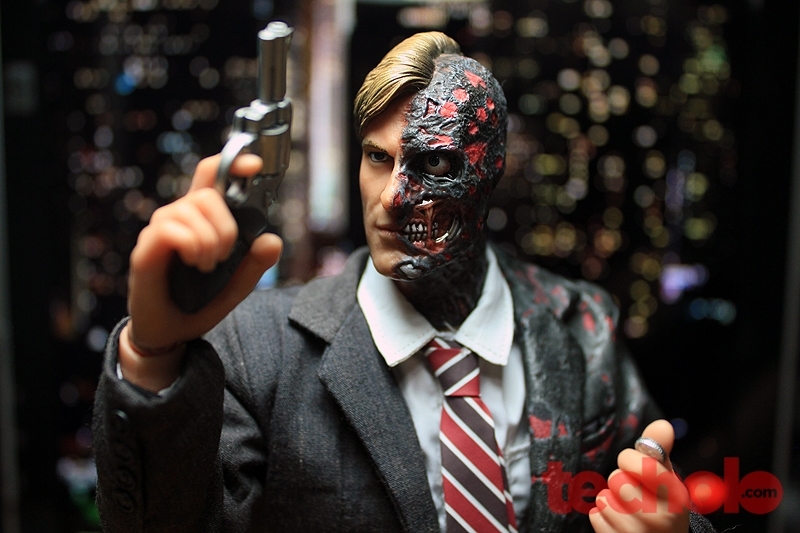 This time we feature Hot Toys Harvey Dent / Two Face 1:6 fully poseable 12” scale from the movie The Dark Knight. 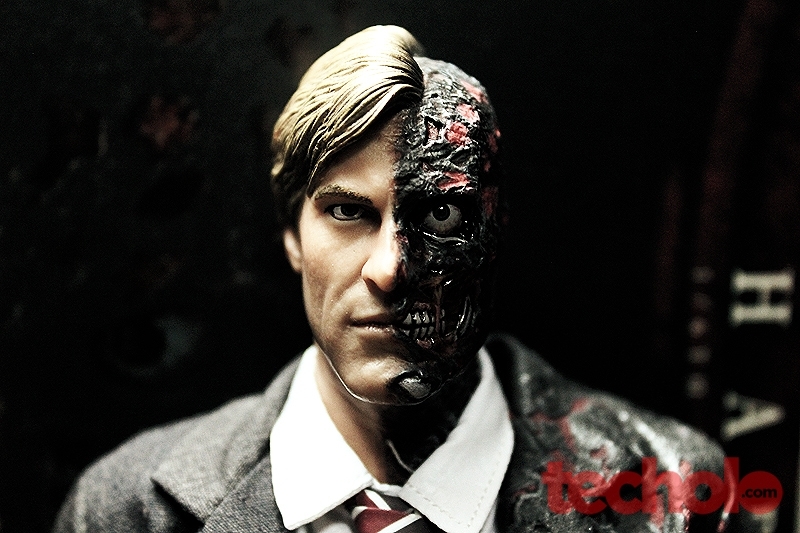 Aaron Eckhart plays Harvey Dent. 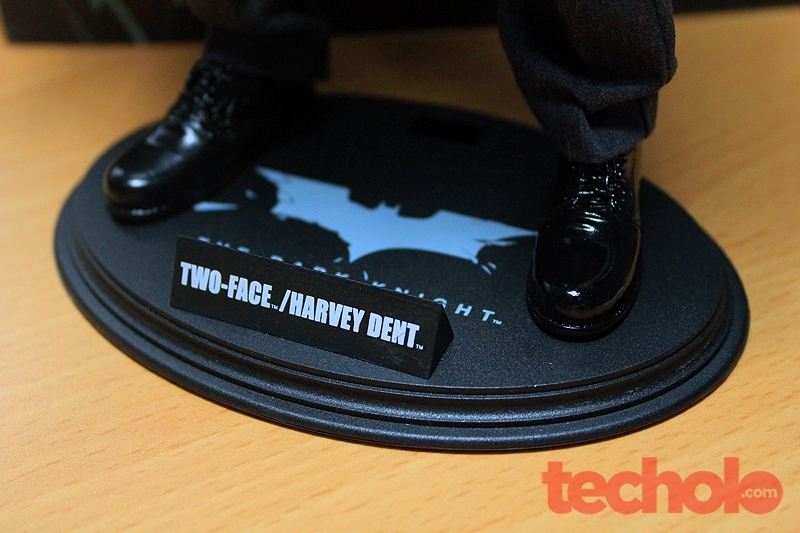 A white-knight Gotham District Attorney who has a tough stance against organized crime. Unfortunately, his legacy was tainted when the Joker made him into Two-Face, a madman and disgruntled citizen looking to exact vengeance. 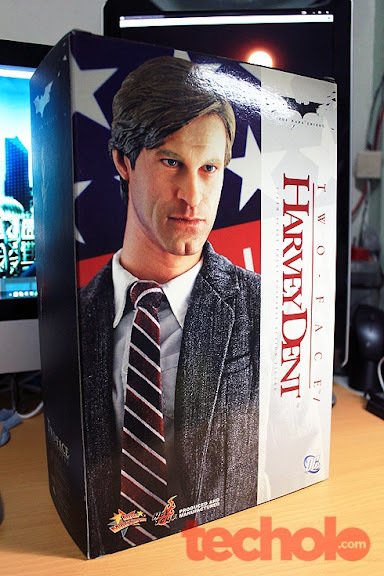 The box design made sure to show both faces of Harvey Dent as a good attorney and his side as a disturbed and broken man. 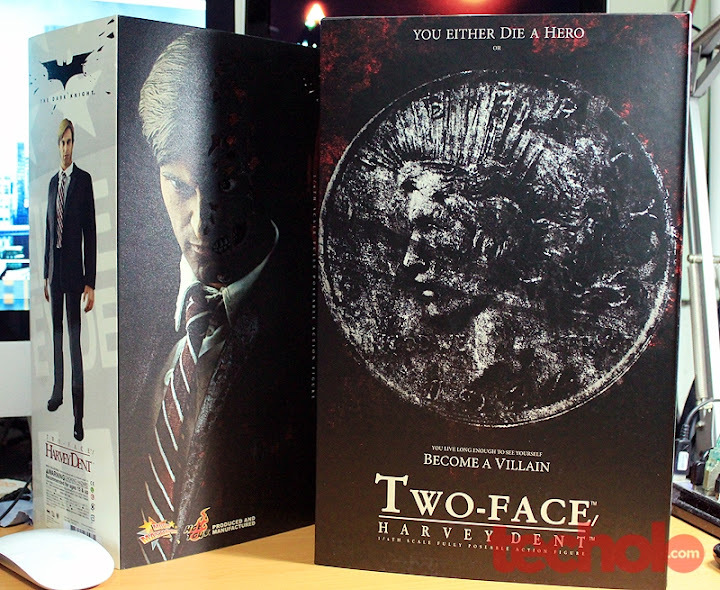 The inside box has one of the movie’s famous quote by Harvey Dent “You either die a hero or you live long enough to see yourself become a villain". 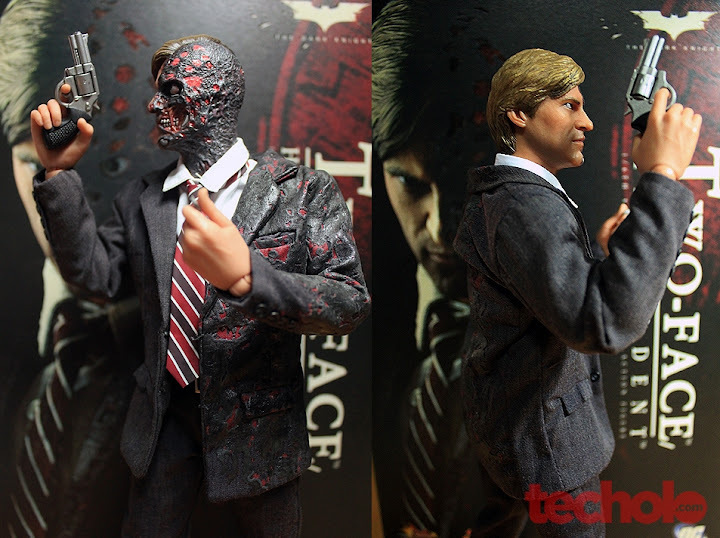 If you enlarge the photos above, you can see the fine work done on the Harvey Dent’s face and suit. 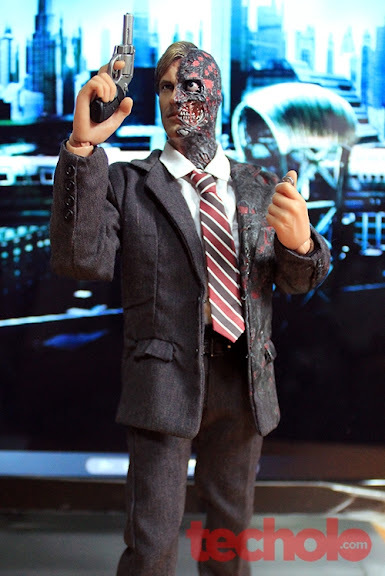 The level of detail on the charred face looks great. The burnt glistening flesh shines like it’s made of real gooey muscle and veins. 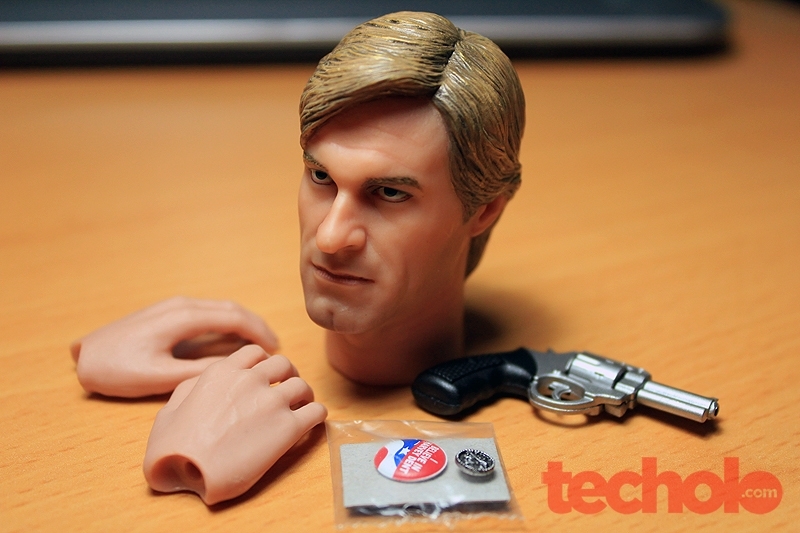 The paint and sculpt complement each other and perfectly blend with the normal side of his face. 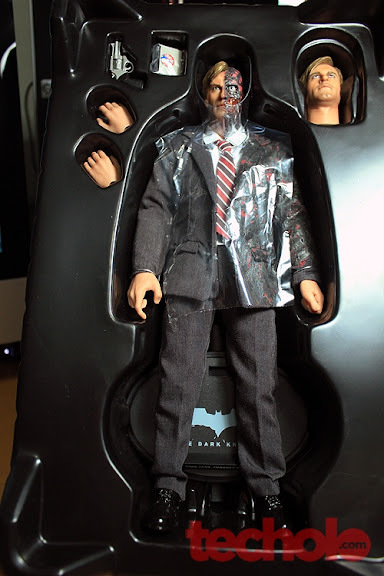 The suit is also well executed. The normal side has that fabric/canvas feel while the burned side is more of a leather. The texture just looks good. 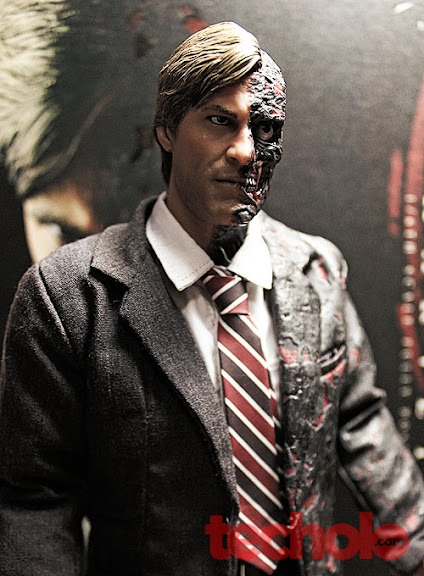 Hot Toys Harvey Dent / Two-Face is currently priced at $250 among online resellers.